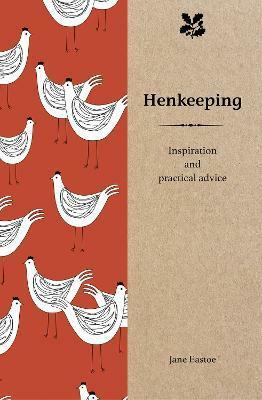 A reissue of Henkeeping (2007). An inspirational and practical guide to keeping chickens in both rural and urban areas. Chickens are back in style with a vengeance: poultry breeders are struggling to cope with the increase in demand and gardens resound to the contented cluck of chickens. This trend can be in part explained by the huge demand for organic and locally produced food; after all, what could be more natural than keeping your own chickens and collecting their eggs? This beautiful and practical guide advises on all aspects of chicken keeping, from advice on the full range of breeds available, choosing and buying the right chickens for you, to feeding and naming them and finally housing and caring for them. With charming illustrations throughout, you will find all you need to start and maintain your own chicken run. Jane Eastoe has been a journalist and author for 25 years. She has been writing for the National Trust Books list since 2007 and was the chief contributor to the National Trust Book of the Countryside, including the regional features. Her other books include Wild Food, Home Grown Fruit and Allotments. She is a softie cyclist, enjoying the Kent countryside, where she lives, on two wheels.